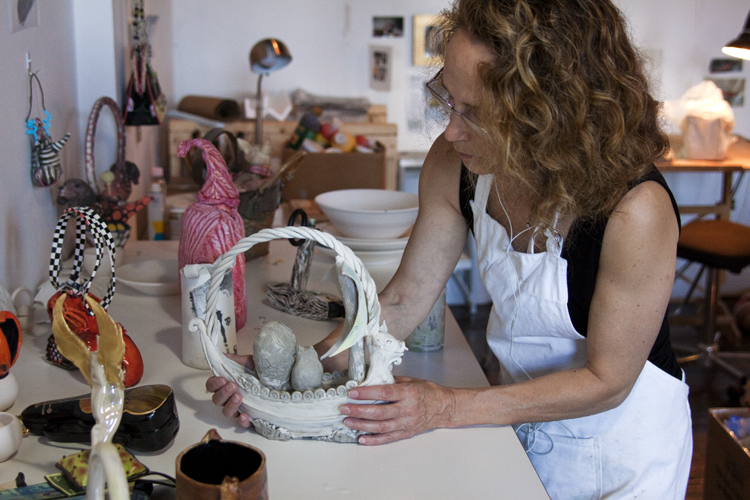 There is one teapot that Meryl was working on when Lynn died in February 2009. She still has not been able to finish it. Meryl says at times she feels guilty that she is so happy in her life when Lynn had to suffer so much.